David Boudia is becoming a new father and trying new events. Although it can be tedious to bide time in between Olympic Games, the Noblesville diver says that is not the case. Boudia, 25, and wife Sonnie are expecting their first child in September. In Shanghai, he is competing in three events at the World Cup; individual and synchronized 3-meter, plus synchro 10-meter with Carmel 18-year-old Steele Johnson. The year’s most important diving meet opened Tuesday with Johnson and Murphy Bromberg, Bexley, Ohio, finishing fourth in the mixed-gender team event. Oddly, what Boudia is not doing is his signature event, individual 10-meter, in which he won Olympic gold in 2012. 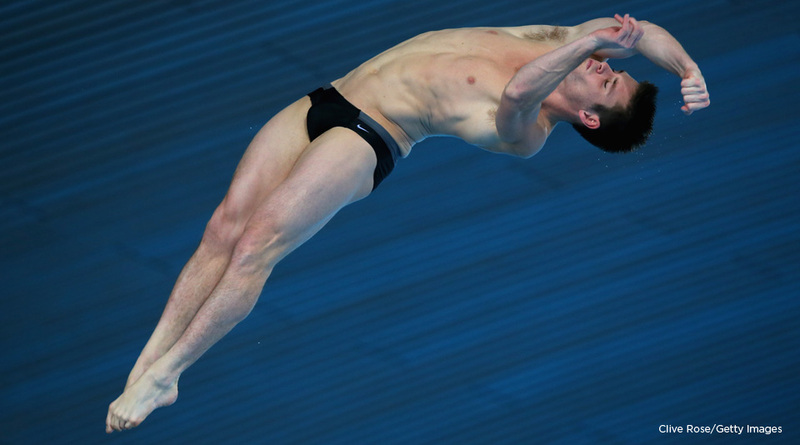 He also won a bronze in synchro 10-meter with teammate Nick McCrory in London. But Boudia said he intends to continue synchro training with Johnson at Purdue. McCrory has relocated to Bloomington to train under Indiana University’s Drew Johansen, who coached him at Duke. Boudia said he is receptive to training with McCory in synchro 3-meter. Boudia won the national title on 3-meter but doesn’t plan to compete in that event leading up to the 2016 Rio de Janeiro Olympics. “This year is more so the ‘off’ year in diving and a very good time to experiment with new dives and/or new events, and we are taking full advantage of that,” he said. He loves competing in China, where he won a World Cup bronze medal in 2008 and a World Championships silver in 2011. His popularity is such that he is approaching 900,000 followers on Weibo, a Chinese version of Twitter.